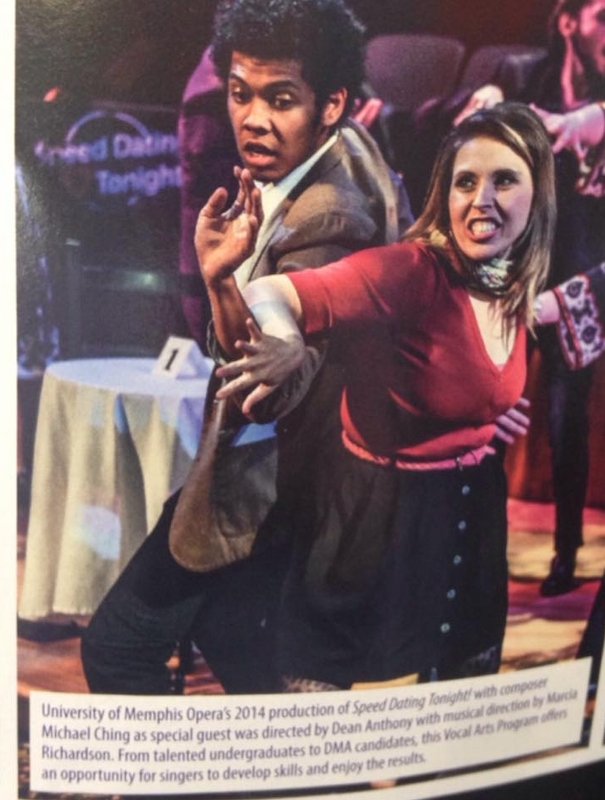 Catch Sabrina in the most recent Nashville Opera magazine. Beethoven Club musicians performed a concert at the historic Elmwood Cemetery in Memphis. Performers included Kelly Hermann, flute, Jason Oates, saxophone, Greg Hranov, horn, Brian Ray, piano, and Sabrina Laney Warren, soprano. The concert was held in memory of founder Miss Martha Trudeau on the 130th anniversary of the founding of the Beethoen Club of Memphis. Dramatic Stories in an Intimate Setting: Volumes 1-3 are now officially ready for purchase: Three Songs, Sehnsucht Songs, and Space to Be Lonely. You can purchase them on Amazon. Sabrina will step into the recording studio with composer Rachel DeVore Fogarty and GRAMMY award nominated engineer Charley Hubbs to record her songs for voice as well as a new song cycle Space to Be Lonely. Look for the album release in the fall of 2018. Edited by soprano Sabrina Laney Warren, a collection of art songs for voice including settings of poetry by Sara Teasdale, Amy Lowell, and Elizabeth Barrett Browning. Sabrina is always happy to help promote a good cause. Check out this PSA she recorded for greenhouse gas emissions. Performance in Westerville, OH: Community members were treated to an outstanding performance by Germany’s Ahrensburg Youth Symphony Orchestra. Soloist Sabrina Laney Warren sang arias including O Mio Babbino Caro (Gianni Schicci), Un Bel Di (Madama Butterfly), Musetta’s Waltz (La Boheme) and Song to the Moon (Rusalka). If you weren't able to hear Sabrina live on WKNO's live lunch you can listen now! For more information about Luna Nova Ensemble click here. June 21, 2017 12:10-1:00 p.m.
Sabrina will be on WKNO's live lunch. Tune in to hear her live. For more information about the Belvedere Music Festival please click here. To listen to live click here. Miss Warren is featured in Luna Nova ensemble's "Recording of the Day." This selection is "I. Paean" by Robert G. Patterson (text by Ben Jonson) from his song cycle Songs from Old England. To listen to the performance, click on the link below. For more details and information about the Luna Nova ensemble please click here. To listen to new recordings each day click here. Welcome Spring! Miss Warren is featured in Luna Nova ensemble's "Recording of the Day," for her concert in 2016 with pianist Perry Mears celebrating the 400th anniversary of the death of William Shakespeare. This selection is "Spring" by Ivor Gurney from his song cycle Five Elizabethan Songs. To listen to the performance, click on the link below. 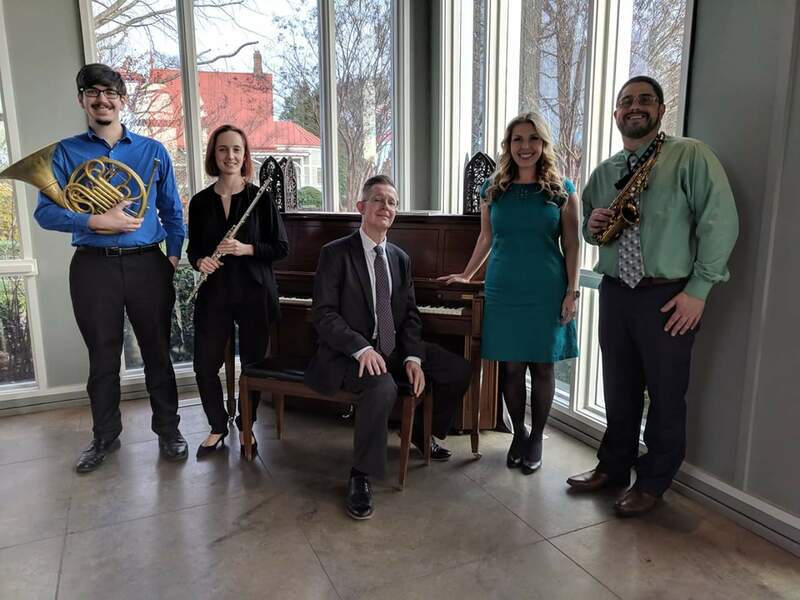 Miss Warren was featured in Luna Nova ensemble's "Recording of the Day," for her concert in 2016 with pianist Perry Mears celebrating the 400th anniversary of the death of William Shakespeare. This selection is "Sleep" by Ivor Gurney from his song cycle Five Elizabethan Songs. To listen to the performance, click on the link below. Miss Warren was featured in Luna Nova ensemble's "Recording of the Day," for her concert in 2015 with flutist John McMurtery and pianist Perry Mears. This selection is "Two Remembrances" by Previn. To listen to the performance, click on the link below. Miss Warren is thrilled to make debuts with two companies this year. In June she will perform with the Belvedere Chamber Music Festival and in July and August she will perform with the Ahrensburg Youth Symphony Orchestra in a tour around the United States. Please check the events page for more details and information. For more information about the Ahrensburg Youth Symphony click here. Miss Warren has been accepted as a guest lecturer at the Music by Women Festival at Mississippi University she will present a her lecture recital entitled "The Art Songs of Rachel DeVore Fogarty: An Analytical Approach to Performance Practice and the Collaboration Process." Miss Warren is delighted to return to Blue Lake Fine Arts Camp as the soprano soloist in Dvořák’s Stabat Mater. She will tour with the International Symphony performing in France and Germany in the summer of 2016. Please check back for specific dates and cities. 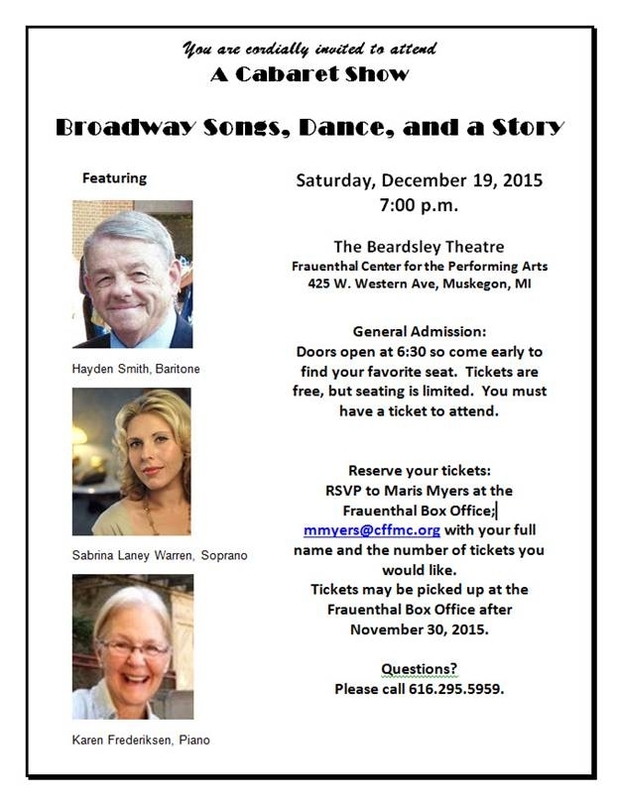 Miss Warren will be featured in Hayden Smith's Cabaret Broadway Songs, Dance, and a Story. at The Beardsley Theater in Muskegon, MI. This event is free but by reservation only. To reserve your seat please R.S.V.P. to mmyers@cffmc.org. Miss Warren will sing the soprano solos in Bach by Candlelight. 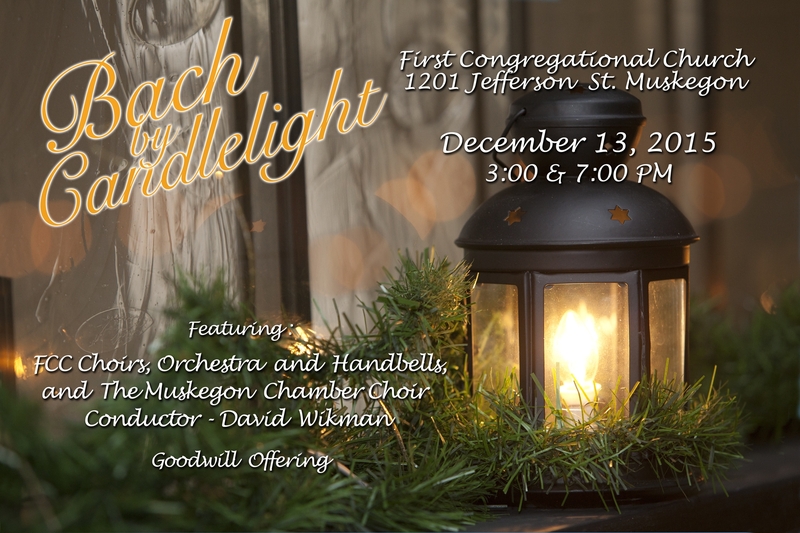 The First Congregational Church of Muskegon will present two performances of “Bach by Candlelight” on Sunday, December 13th at 3:00 pm and at 7:00 pm. Highlighting the event will be selections from Johann Sebastian Bach's Christmas Oratorio. The performance will feature the Motet Choir, the Muskegon Chamber Choir, soloists, and an orchestra with added period instruments. 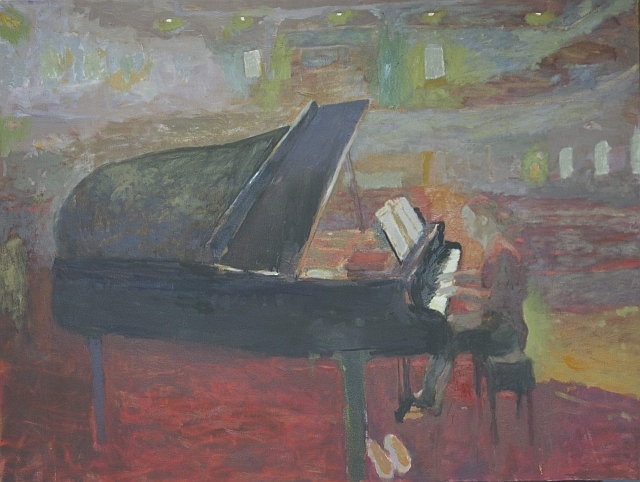 This expansive work is under the direction of David Wikman. Miss Warren sang as a part of the Marco Nistico Masterclass. This was a special event with "30 Days of Opera" sponsored by Opera Memphis. Pictured left to right: Dominic Johnson, Chelsea Miller, Sabrina Laney Warren, Marcio Nistico, Paul Murray, Dale DeWood. 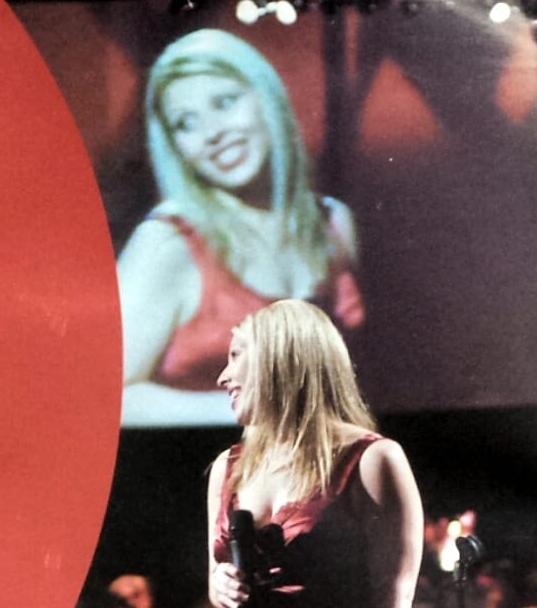 Miss Warren was featured in this month's Classical Singer Magazine. Miss Warren will be in the studio recording Dan Musselman's original song cycle Warning Music. To find out more about Dan and his music please check out his website. Miss Warren will be interviewed with Director Dean Anthony on WATN-TV Local Memphis Station 24 to promote The University of Memphis Opera's production of Le Nozze di Figaro. Check it out Friday November 21st at 8am cst. Check out the new Promo Video for the Jackson Symphony's upcoming Christmas Pops Concert. Miss Warren will be interviewed for Checking on the Arts with Darel Snodgrass on WKNO Memphis 91.1FM, part of the NPR digital network. She will be discussing her upcoming performance with Luna Nova with Executive Director, Patricia Gray. Miss Warren is pleased to announce her return to the Jackson Symphony. She last performed with the Jackson Symphony seven years ago and is very excited to return for multiple events in the 2014/2015 season. More details will be announced soon. Maestro Dan Allcott and Erin Vickers, Executive Director, discuss the Bryan Symphony's upcoming concert featuring Miss. Warren. To watch the entire video click on the link below. Miss Warren is pleased to announce that she will be the soprano soloist in James DeMars' An American Requiem, featuring the Rhodes MasterSingers Chorale and the Memphis Symphony under the baton of Maestro William Skoog. This is Miss Warren's role and company debut. Miss Warren is pleased to announce that she has accepted another European Tour with the Blue Lake International Symphony. This is Miss Warren's fourth tour with the company. She will be on tour from June through August 2014 and will sing the soprano solos in Beethoven's Symphony No. 9 and Mozart's Coronation Mass. Both of which, are role debuts for Miss Warren. July 26 - Mozart's Exsultate Jubilate and Mendelssonh's Infelice featuring Maestro Michael Klaue and the Blue Lake International Symphony and Choir. Miss Warren performed the world premiere of Rachel DeVore Fogarty's Spoon River and Barber's Knoxville Summer of 1915 with Maestro Dan Alcott and the Oak Ridge Symphony. Here is the review article from the performance. The Oak Ridger. Miss Warren was selected as a semi finalist in the Orpheus National Vocal Competition. Please check the Engagements page for details. Miss Warren was a Winner in the Metropolitan Opera National Council auditions in the New York City District. She will advance to the Eastern Region Finals in January. Please check the Engagements page for details. To see behind the scenes photos of Opera Theater Pittsburgh's production of The Magic Flute visit their Facebook page. Miss Warren has accepted the roles of Gabriel/Eve in Haydn's Die Schöpfung, which will tour in Europe June, July, and August of 2013. Maestro Dan Allcott, Gail Luna, and Laura Clemons discuss the Bryan Symphony's upcoming concert featuring Miss. Warren. To watch the entire video click on the link below. The discussion of Barber’s Knoxville Summer of 1915 and Mahler’s Rückert Lieder is at 20:30. Miss Warren has accepted the role of Pamina in Opera Pittsburgh's summer production of The Magic Flute. As a Resident Artist, Miss Warren will also perform in the Mozart Song and the Cabaret series, as well as mainstage roles in smaller one act operas. Performance dates and details will be posted at a later date. Miss Warren was a selected semi-finalist in the 7th Annual Peter Elvins Vocal Competition, sponsored by Powers Music School. She will compete in the semi- finals on Saturday January 28, 2011 in Belmont, MA. UPDATE: Miss Warren advanced to the finals in the competition and performed in the public concert. Soprano soloist in Brahms Requiem, featuring Maestro Carole Ott and the Blue Lake International Symphony and Choir. Miss Warren won first place in the Young Artist division of the Grace Moore vocal competition. Miss Warren has been invited back to the International Vocal Arts Institute in Montreal, Quebec for August 2011. Miss Warren won the Coeur d'Alene Symphony Young Artist Competition. 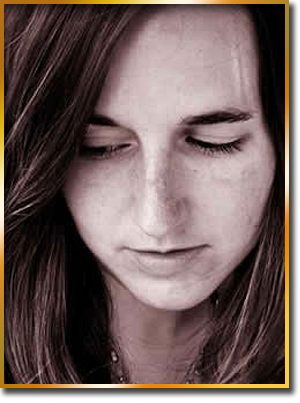 She will perform as a featured soloist with the Symphony on March 12, 2011. Please check the Engagements page for details. Miss Warren was a selected semi-finalist in the 6th Annual Peter Elvins Vocal Competition, sponsored by Powers Music School. She will compete in the semi- finals on Saturday January 29, 2011 in Belmont, MA. 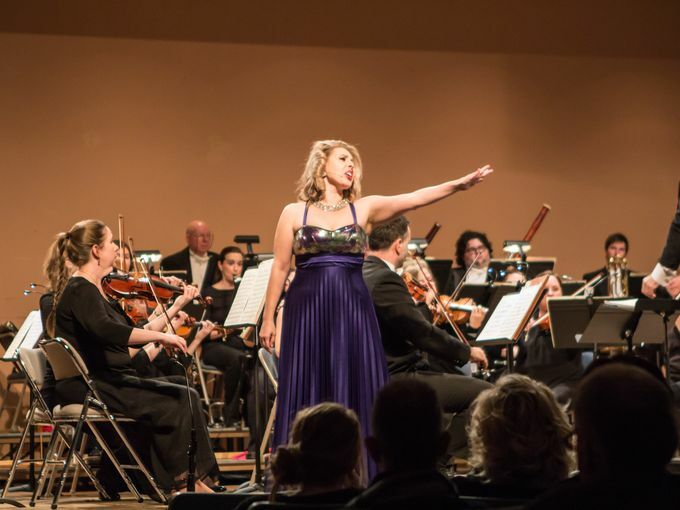 Miss Warren was a selected finalist for the Coeur d'Alene Symphony Young Artist Competition. She will compete in the finals on Sunday January 9, 2011 in Spokane, WA. Miss Warren will sing the soprano solo in the European tour of Brahm's Requiem, featuring Maestro Carol Ott and the Blue Lake International Symphony and Choir. Soprano soloist in Mendelssohn's Elijah, featuring Maestro Christoph von Kuczewski-Poray and the Blue Lake International Symphony and Choir. Soprano soloist in selections from Rachel DeVore Fogarty's Spoon River. Listen here. Miss Warren was the recipient of the Professional Development Grant for 2010-2011 from the TN Arts Commission. Click on the quote to translate. "Und eine gezieltere Schulung der Vokalsolisten hätte ergeben, dass wahres Sangesglück nicht in großer Lautstärke, sondern in der Formulierung leiser Töne liegt. Aber vielleicht ist es der US-amerikanischen Tradition... Angemessen der Wohlklang, Sabrina Laney Warren (Sopran) anbieten konnten." "The precise training of the vocal soloists showed that true beauty in singing lies not only in singing loudly, but also in the formulation of of quiet tones. Perhaps it is owed to the American tradition...Sabrina Laney Warren offered befitting melodious sound." "…professionelle Qualität bedacht sind, zeigte sich an den Solisten, die mit dem Chor gereist waren. Sabrina Laney Warren (Sopran), Bridget Skaggs (Mezzo-Sopran), Zachary Vanderburg (Tenor) und Jared Levin (Bass) mit zum Teil jahrelanger Bühnenerfahrung, die sie beim zweiten Konzert in der Augsburger Ulrichskirche am Sonntagabend in Sankt Ulrich sang der Chor, begleitet vom in Augsburg gastierenden „International Youth Symphony Orchestra“ eine Messe von Ludolph Arens… die zahlreiche Zusamtaler mitfeierten, zeigten die amerikanischen Musiker ihr Können beim Te Deum von Anton Bruckner gewaltige chorale Musik, die in der Ulrichskirche eindrucksvoll zum Ausdruck kam." "…professional quality, soloists, traveled with the choir. Sabrina Laney Warren (soprano), Bridget Skaggs (mezzo-soprano), Zachary Vanderburg (tenor) and Jared Levin (bass) with years of stage experience, sang with the Choir at the second concert in the Augsburg Ulrich church on Sunday, accompanied by the "International Youth Symphony Orchestra" the Festival Mass of Ludolph Arens…left the audience gasping then, the American musicians showed their skills at the Te Deum by Anton Bruckner – the mighty chorale music was an impressive expression in the Ulrich church." Mit Sabrina Laney Warren und Sarah Kennedy in Sopran beziehungsweise Mezzosopran und Jared Levin und Zachary Vanderburg in Tenor- und Bass-Stimme waren die Solisten an diesem kühlen Sommerabend sehr präsent. Und als zum anklingenden Motiv der „Ode an die Freude“ die Wolken der rot untergehenden Sonne wichen, passte alles zusammen. 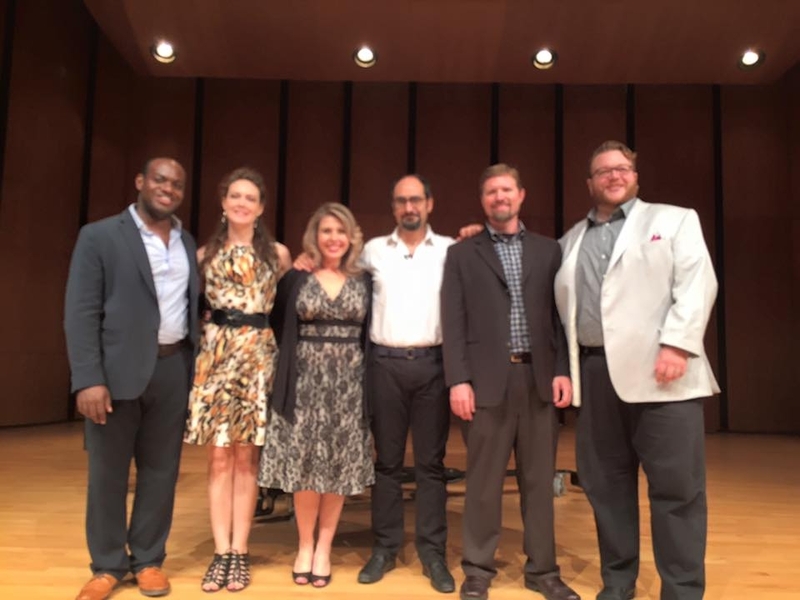 "The voices of the soloists Sabrina Laney Warren and Sarah Kennedy in soprano and mezzo-soprano and Jared Levin and Zachary Vanderburg in tenor were very present on this cool summer evening. And when the clouds of the red setting sun gave way to the evocative motif of the "Ode to Joy", everything fit together. " "Die Sängerin Sabrina Laney Warren verzauberte mit ihren schier unbegrenzten stimmlichen Möglichkeiten: leidenschaftlich, stimmgewaltig und auch zart in dem Stück „Il Felice“ von Felix Mendelsohn- Bartholdy, dagegen leicht und locker in den Koloraturen des „Exultate jubilate“ von W.A. Mozart." "The singer Sabrina Laney Warren enchanted with her seemingly unlimited vocal possibilities: passionate, powerful voice and also tender in the play "Il Felice" Felix Mendelsohn-Bartholdy, contrast, light and fluffy in the coloratura of "Exultate jubilate" by WA Mozart." Genauso zu rühmen die „Tragfähigkeit“ des Begleitens, mit der Michael Finck ein Solistentrio unterfütterte. Die Erschaffung der Welt lässt Joseph Haydn von den drei Erzengeln Gabriel (Sopran), Uriel (Tenor) und Raphael (Bass) erzählen. Rezitativisch (an der Truhenorgel Alexandra Finck) und bei den Solo-Einsätzen waren Joseph Roberts (Bass) und Sabrina Laney Warren (Sopran) wie vor zwei Jahren beim Brahms-Requiem nicht nur verlässliche stimmliche Partner. Sie loteten wie auch Zachary Vanderburg (Tenor) ihre „Botschaften“ mit vokalem Glanz, dramatischem Feuer und lyrischer Anteilnahme aus. Die Terzette lebten von gewachsener Ausgewogenheit, sie lobten gemeinsam mit den „himmlischen Heerscharen“ (dem riesigen Chor) und der Urkraft des Orchesters den „Ruhm des Herrn“. "Equal praise to the "carrying capacity" of accompanying, with Michael Finck (conductor) and a trio of soloists. The creation of the world, Joseph Haydn told by the three archangels Gabriel (soprano), Uriel (tenor) and Raphael (bass). Recitative (on the organ Alexandra Finck) and the soloists were Joseph Roberts (bass) and Sabrina Laney Warren (soprano) who were vocal soloists two years ago in the Brahms Requiem. They, as well as Zachary Vanderburg (tenor), sang their "messages" with vocal luster, fire and dramatic lyrical sympathy. The trios had a balance that grew as they praised together with the "heavenly host" (the huge choir) and the primal power of the orchestra, the "glory of the Lord." Solisten überzeugen: Die Solisten waren allesamt Amerikaner, und man durfte staunen, wie gut sie die deutsche Aussprache verwirklichen konnten. Für uns ist es enorm schwer, die englische Lautung einigermaßen echt hinzubekommen, andersherum ist es nicht leichter. Hier muss man alle drei Solisten loben. Das tat auch die Sopranistin Sabrina Laney Warren, deren Sopran viel Durchschlagskraft besitzt. Anfangs schien es, als gebe es bei ihr in höheren Lagen nur Forte, doch im Verlauf zeigte sie, dass auch leisere Töne in dieser Region zu ihrem Repertoire gehören. Im Terzett oder Duett vermischten sich alle Stimmen gut. Convincing Soloists: The soloists were all Americans, and you would be amazed at how well they were able to realize the German pronunciation. For us it is very difficult to get the English phonetics reasonably genuine, it is not and easier the other way around. Here you have to commend all three soloists. So did the soprano Sabrina Laney Warren, whose soprano has a lot of penetrating power. At first it seemed as if her higher tones were only forte, but in the course of the work she showed that she also had softer sounds in this region of her voice. In duet or trio, all voices blended well. Den ersten Höhepunkt bildete die lebhafte Arie für Sopran und Orchester, „Infelice“ (op. 94) von Felix Mendelssohn-Bartholdy. Musiker und Sängerin bestechen mit einem energischen Vortrag, Sabrina Laney Warren verdient dank einer unglaublich expressiven Stimme ein Sonderlob. Was für ein Stimmumfang, was für eine Brillanz in den Höhen. Respekt! Der hin und her wogende Charakter dieser schwierigen Arie kam voll zur Geltung. Ebenfalls ein Genuss: das „Exsultate Jubilate“ von Wolfgang Amadeus Mozart, mit einem bestechenden Sopran, glockenklaren Koloraturen und einer unglaublichen Stimmgewalt. Laney Warren hat das Zeug zu einer ganz Großen. The first highlight was the lively aria for soprano and orchestra, “Infelice” (op. 94) by Felix Mendelssohn-Bartholdy. The musician and singer captivated with an energetic performance, Sabrina Laney Warren deserves special praise thanks to her incredibly expressive voice. What a vocal range, what brilliant high notes. Respect! She took full advantage of the back and forth character of this difficult aria. Also a treat: the “Exsultate Jubilate” by Wolfgang Amadeus Mozart, with her captivating soprano, bell-clear coloratura, and incredible vocal power. Laney Warren has the makings of a big time performer. Mit Sabrina Laney Warren (Sopran), Zachary Vanderburg (Tenor) und Joseph Roberts (Bass) konnte das Blue Lake Fine Arts Camp für seine Tournee ferner ausgezeichnete amerikanische Vokalsolisten mit nationaler sowie internationaler Erfahrung gewinnen, die die anspruchsvollen Solistenrollen des Werks erstklassig meisterten. The Blue Lake Fine Arts Camp had outstanding American vocal soloists with national and international experience for this year's tour, with Sabrina Laney Warren (soprano), Zachary Vanderburg (tenor) and Joseph Roberts (bass) they mastered the demanding soloist roles perfectly. Mit Sabrina Laney Warren (Sopran), Zachary Vanderburg (Tenor) und Joseph Roberts (Bass)... für seine diesjährige Tournee ferner ausgezeichnete amerikanische Vokalsolisten mit nationaler sowie internationaler Erfahrung gewinnen, die die anspruchsvollen Solistenrollen des Werks erstklassig meisterten. Die Begeisterung der Konzertbesucher war unschwer zu erkennen und nach dem Konzert waren viele Worte des Lobs und der Anerkennung zu hören. With Sabrina Laney Warren (soprano), Zach Vanderburg (tenor), and Joseph Roberts (bass)... this year’s tour’s excellent American soloists win with national and international know-how, and gave a first-class mastering of the work’s demanding roles. The enthusiasm of the concert-goers was easy to see, and after the concert one could hear many words of praise and recognition. Speaking of first class, the Oak Ridge Symphony signed off its season with a whopper of a winning program. The program unveiled two more Tennessee superstars (Nashville soprano Sabrina Laney Warren and Nashville composer Rachel Devore Fogarty). When Sabrina Warren walked on stage and positioned herself for singing, she did so with such grace and poise one knew to expect confidence. One also expected devotion to the Spoon River anthology score written for her by her best friend Rachel Fogarty. But even that knowledge didn’t prepare us for Warren’s consummate artistry. Her notes were beautifully nuanced, and her soprano tessitura had a floating kind of beauty that seemed so blissfully effortless. With clear intonation and diction, she commanded Edgar Lee Masters’ Spoon River lyrics discerningly, capturing every virtue or wart of the six diverse characters she was representing in song. It was a rare pleasure to hear Warren sing all from memory and a pleasure to note the ease in which she soared to the high notes and then plunged into resonant low notes. And after she had committed vocally and emotionally to Agee’s lyrics (Barber’s Knoxville Summer of 1915) she had the audience completely in her thrall. Sabrina Warren had a lovely, gentle texture throughout as Pamina. Sabrina Warren was a superb Pamina, using her ample and open voice with affecting directness as Tamino’s lover. Other standouts include Sabrina Laney Warren as Violetta’s maid, Annina. Unerwartet im reinen Orchesterkonzert die vokalen Glanzpunkte, die Sabrina Laney Warren mit zwei Arien aus „La Bohème“ von Giacomo Puccini setzte. Die Sopranistin kostete den Hall der spätgotischen Kirche aus, entfaltete ihre ausgebildete Stimme mit Emphase, war im Parlando wie in den melodiösen Aufschwüngen bühnenwirksam präsent. Unexpectedly, in the purely orchestral concert, were the vocal highlights from Sabrina Laney Warren who sang two arias from "La Boheme" by Giacomo Puccini. The soprano cost the hall from the late Gothic church; with emphasis unfolded her trained voice was melodious, with parlando upswings and an effective stage presence. Sabrina Laney Warrens Sopran-Solo war ein weich gezeichnetes, ausdrucksstarkes Trostlied voller stimmlicher Anmut. Sabrina Laney Warren's soprano solo was a soft-lined, expressive consolation song full of vocal grace. The voluminous roar dominated and applause roared on. This increased further when the orchestra rolled out the musical carpet for Sabrina Laney Warren. The Blue Lake soprano impressed with two arias from Puccini's opera "La Bohème". Baritone Joseph Roberts contributed with an aria from of Puccini's opera "Edgar". With the known and popular tunes from the musical "My Fair Lady", Sabrina and Joseph conquered the ecstatic audience. The ensemble was completed by the powerful and finely nuanced soprano Sabrina Laney Warren. Sabrina Laney Warren, die bereits eine Gastsaison and der Nashville Opera absolvieren durfte, übernahm das Sopransolo des Fünften Satzes. Ihr emphatisch vorgetragener Koloratursopran verfügt über eine Leichte, kräftigende Alt-Färbung in den mittleren Lagen und dringt auch gegenüber dem Tutti gut durch. Sabrina Laney Warren, who already completed a season as a guest with the Nashville Opera, took over the soprano solo of the fifth movement. Her emphatic pre-registered coloratura soprano has a light, invigorating coloring in the middle layers, and penetrates well even against the tutti. Zwei Puccini-Arien von Sabrina Laney Warren (Sopran) voneinander getrennt, hinterließen nachhaltigen Eindruck. Two Puccini arias sung by Sabrina Laney Warren (soprano), left a lasting impression. Voll Mitgefühl und doch tröstlich gestaltete Sabrina Laney Warren die Sopranpartie. Leider hat Brahms den Gesangssolisten nur eine undankbare Aufgabe verordnet. Nur in zwei Sätzen "darf" der Bariton einen Part übernehmen und die Sopranistin kommt gar nur in einem Satz zu Wort und Gesang. Dafür haben sich in der Mindener Aufführung allerdings zwei Spitzenmusiker getroffen, deren Stimmen besonders schön zueinanderpassen. Voll Mitgefühl und doch tröstlich erklang "Ihr habt nun Traurigkeit" aus dem Munde der lyrischen Sopranistin Sabrina Laney Warren. Beide waren trotz der Kürze ihrer Auftritte ein großer Genuss und trugen damit erheblich zur Qualität eines musikalischen Erlebnisses bei, über das noch lange weit über die Grenzen Mindens hinaus gesprochen wird. With compassion and yet comforting Sabrina Laney Warren shaped the soprano part. Unfortunately, the Brahms soloists prescribed only a thankless task. Only two movements assumed the part of the baritone and the soprano comes in even just one movement to word and song. However, two great musicians made the Minden performance, whose voices fit together very nicely. With compassion and yet comforting heard "You now have sorrow" from the mouth of the lyric soprano Sabrina Laney Warren. Both were, despite the brevity of their performances a great pleasure and thus contributed significantly to the quality of a musical experience and will long be talked about far beyond the limits of Minden. Die amerikanischen Gäste hatten neben den instrumentalen Konzerten auch gesangliche Einlagen in ihrem Repertoire. Die jugendliche Sopranistin Sabrina Laney sang aus Giacomo Puccinis "La Boheme" zwei Arien, Und auch das Musical sollte nicht fehlen. Mit einigen bekannten Liedern aus "My fair Lady" bewiesen Sabrina und Joseph, dass die Jugendlichen auch der leichten Muse zugetan sind. Dabei war das Publikum Bühne, die Sänger suchten den direkten Kontakt und steigerten sich in dieser Form noch. In addition to the instrumental works, the American guests also added vocal works in their repertoire. The young soprano Sabrina Laney sang two arias from Giacomo Puccini's "La Boheme", and also the musical should not be missed. "My Fair Lady" with some familiar songs from Sabrina and Joseph demonstrated that young people are also fond of light entertainment. On the public stage, the singer sought the direct contact of the audience and escalated in this form. Vor allem die Solisten mit Sabrina Laney Warren (Sopran), begeisterten das Publikum. Für dir Musiker gab es Standing Ovations und Jubelrufe. Above all the soloists with Sabrina Laney Warren (soprano), delighted the audience. For the musicians there was a standing ovation and cheers. “Elias”, einem grandiosen Werk zuende. Am Ende der Veranstaltung wurde das grosse Orchester, solisten Sabrina Laney Warren, Sopran mit dem Chorus mit stehenden Ovationen gefeiert und hinterliess den Eindruck eines perfekten Musikereignisses und eines sehr gelungenen und wertvollen Abends. "Elijah", a great work over. At the end of the event was the large orchestra, soloist Sabrina Laney Warren, with chorus celebrated with standing ovations and left the impression of a perfect musical event and a very successful and valuable evening. Kraftvolle Aufführung des Werkes. Und die rund 700 Zuhörer dankten es den jungen Musikern nach gut zweieinhalb Stunden, inclusive Pause, mit langanhaltendem, intensivem Beifall. … die Solisten, die Sopranisten Sabrina Laney Warren, den deutschen Text einstudiert, sonst perfekt wiedergegeben wurde. … nie die Sänger übertönten. A powerful performance of the work, and the approximately 700 listeners thanked the young musicians after a full two and a half hours, including intermission, with long continuous, intensive applause. …the soloist, the soprano Sabrina Laney Warren, studied perfectly reproduced the German text… the singer was never drowned out. Gnade und Macht – Größe und Friedfertigkeit…Oratorium Glanzvolle Aufführung des Elias gestern Abend in der Tornescher Mehrzweckhalle. Solisten des Abends waren Sabrina Laney Warren (Sopran), Emily Goodwin (Alt), John Nevergall (Tenor) und Joseph Roberts (Bass). Grace and power - the size and peacefulness… Splendid performance of the oratorio Elijah last night in the Tornesch hall. Soloists of the evening were Sabrina Laney Warren (soprano), Emily Goodwin (alto), John Nevergall (tenor) and Joseph Roberts (bass). Das die Amerikaner in deutscher Sprache sangen, gefiel dem Publikum in doppelter Hinsicht. Zum einen der imponierenden Interpretationkunst in einer fremden Sprache wegen. Zum anderen gelang insbesondere den Solisten die nahezu akzentfreie und deutliche Artikulation, allen voran …Sabrina Laney Warren glänzte bis in die höchsten Lagen mit glockenreiner Sopranstimme. The Americans sang in the German language and pleased the audience twice over. First, because of their impressive interpretation of the art in a foreign language. Second, because soloists were almost accent-free with clear articulation, especially successful ...Sabrina Laney Warren shone into the highest situations with bell pure soprano voice. Sabrina Laney Warren, soprano possède une voix magnifique. Sabrina Laney Warren, soprano possesses a magnificent voice.